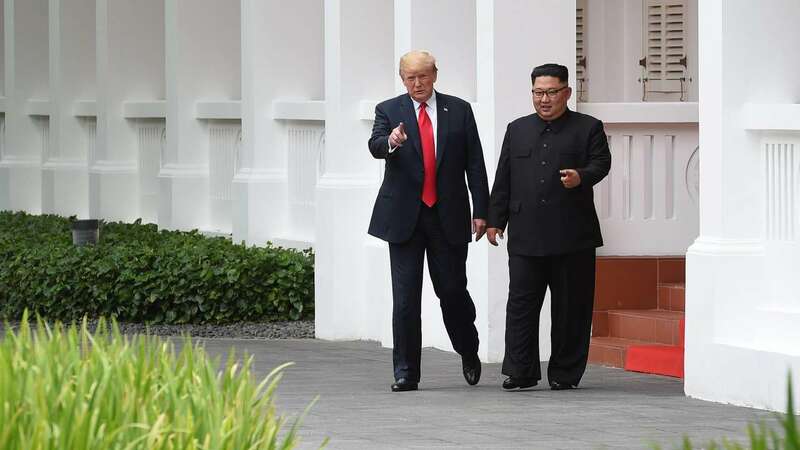 US President Donald Trump will grant North Korea’s leader Kim Jong Un his wishes if he delivers on denuclearisation, the South Korean president said Sunday, following talks on the sidelines of the G20 summit. As officials work to arrange a second meeting between Trump and Kim, South Korea’s Moon Jae-in relayed a message to reporters given to him by the US president to pass on to the North’s leader. 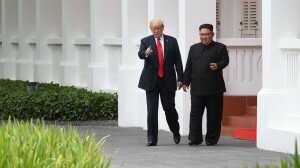 “And the message was that President Trump has a very friendly view of Chair Kim and that he likes him, and so he wishes Chair Kim would carry out the rest of their agreement and that he would make what Chair Kim wants come true,” Moon told the Yonhap news agency while en route to New Zealand. Speaking in Buenos Aires, where he discussed the situation on the Korean peninsula with Moon, Trump said he hoped to organise a follow-up meeting with Kim for early 2019. “We’re getting along very well. We have a good relationship,” he said. Trump and Kim held a historic summit in Singapore earlier this year, signing a vaguely worded deal on denuclearisation. But progress has generally been slow, with the two countries sparring over the exact meaning of the agreement. US officials insist on the complete, verified and irreversible denuclearisation of the Korean peninsula before sanctions are lifted. Differences also remain between Washington and Seoul on how to proceed with Kim, as the dovish Moon favours more robust engagement with the North.